Experiments in the early 1990s that seeded a region of the Pacific Ocean with iron dust saw a phenomenal 20 fold increase in the local phytoplankton population, with a corresponding decline in atmospheric carbon dioxide by roughly 2,500 tons within a period of 2 weeks. California-based Planktos Inc. believes this process can be repeated on a large scale to put a serious dent in our excess carbon dioxide problem.Since 1980, global levels of phytoplankton have dropped 25%. 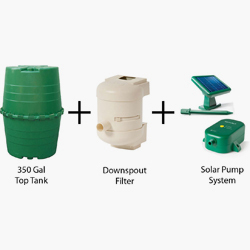 This is significant because phytoplankton, tiny floating surface algae, perform 50 percent of Earth’s photosynthesis. The result of this is the production of 50 percent of our oxygen, and removed half of our carbon dioxide. At 1980 levels, this meant the metabolism of 50 gigatons of carbon dioxide each year. Since 1980, the loss in phytoplankton has resulted in a reduction of carbon dioxide metabolism of nearly 3 gigatons; equivilant to approximately half of all industrial and automotive emissions each year. 80 percent of the world’s ocean water includes phytoplankton, the other 20 percent is said to be high nutrient/low chlorophyll (HNLC) because is it virtually devoid of phytoplankton. Although these areas are rich in most of the nutrients required by plant life, they are missing one crucial ingredient: iron. 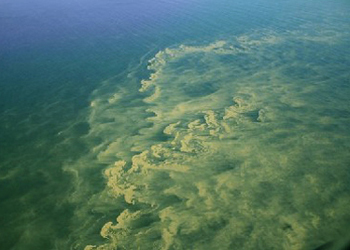 Because the other nutrients (phosphorus, nitrogen, silicon) required for growth are already present, the addition of iron causes a very rapid algae bloom. Of most interest is an algae species known as coccolithophorids, which take in carbon dioxide and form calcium carbonate plates/scales. Coccolithophores were abundant during the late Cretaceous period and their remains form the northern European chalk deposits, such as the white cliffs of Dover. This is particularly useful for carbon sequestration because it locks up the carbon permanently, something that injection wells can’t guarantee. The Planktos process is relatively simple, involving spreading small (50 tons) amount of iron dust across the surface of the ocean to cover an area of about 10,000 square kilometers. This is a very small amount of iron, measured in the parts per trillion (ppt). There have been previous proposals to seed the oceans with iron to form algae blooms for the purpose of carbon sequestration, but the Planktos approach seems to be based on sound environmental science rather than a “quick fix” solution to make money without considering the possible consequences. Planktos proposes using their iron seeding process to restore the algae blooms to 1980 levels (as measured by NASA & NOAA) rather than overshooting those amounts, although some people believe that algae levels were much higher in the past. If this were carried out on a large scale, it could have the effect of reducing our atmospheric carbon dioxide outputs by up to 50 percent and locking it up forever as chalk on the ocean floor. This would need to be done very carefully though, as we still know relatively little about deep ocean ecosystems and the sudden influx of large amounts of calcified algae might have unintended side effects. However, compared with the alternative of unrestrained carbon dioxide emissions, this seems like a very good avenue to explore. The Planktos process is also the cheapest of the sequestration solutions offered, as it requires no pipes, pumps or other fixed equipment. It’s important to point out that this isn’t a solution that will let us continue “business as usual”, it must be done in addition to other carbon reduction strategies in order to reduce atmospheric carbon dioxide levels sufficiently to affect the rate of climate change. The simple fact is, this technology is available now, it’s based on real science, and it works.